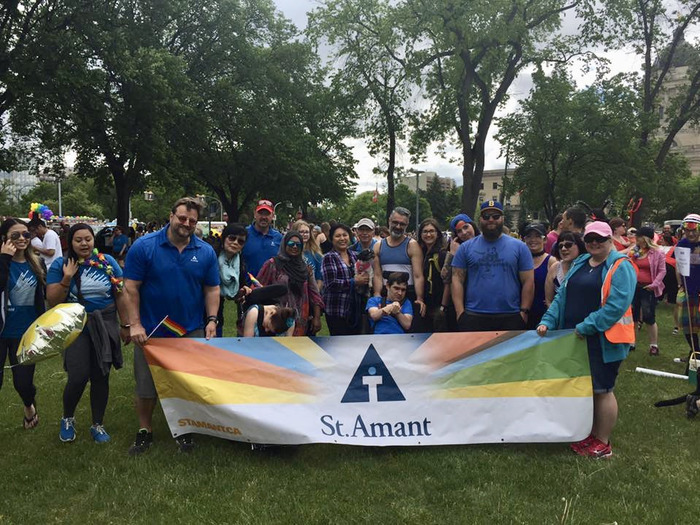 St.Amant is once again participating in the Winnipeg Pride Parade this year! 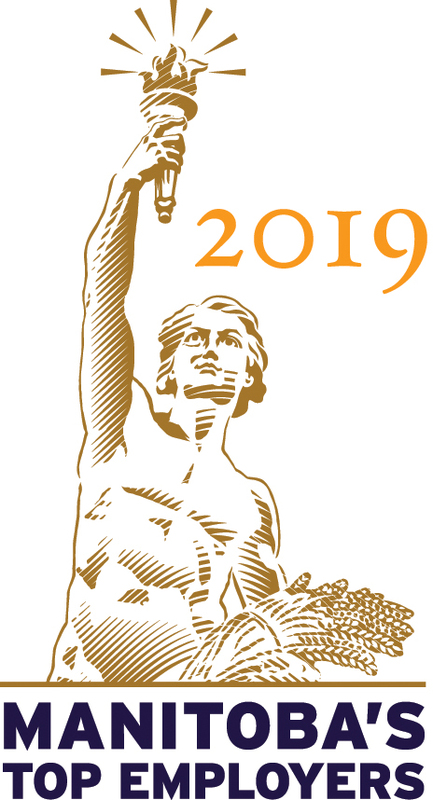 Staff, volunteers, and individuals and their families supported by St.Amant are welcome to attend and walk the parade route with the group representing St.Amant. Thousands of people are expected to join in the annual Pride Parade through downtown Winnipeg. The RBC Convention Centre’s skywalk will also be an accessible location to view the parade. 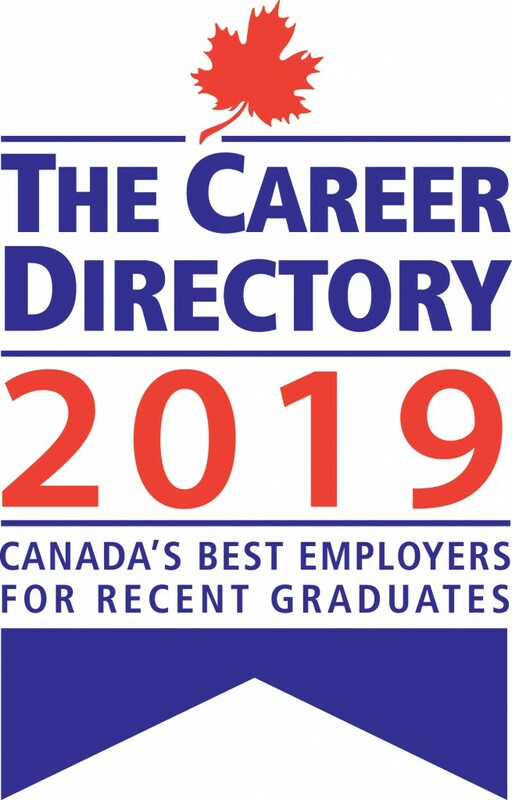 Please contact Meghan Bjorklund, mbjorklund@stamant.ca, by Friday, June 1 if you’re interested in participating in the parade and to wear blue if possible. 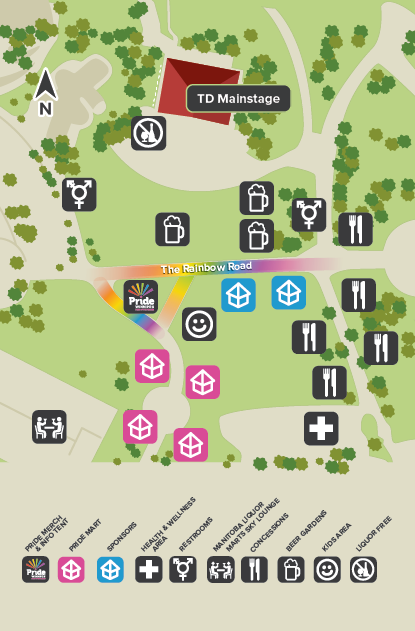 You can also watch as floats and groups show off our city’s rainbow colours if you don’t want to walk in the parade. After the parade, capture the full energy and excitement of Pride as thousands of members of the community converge at the Forks following the Pride Parade. Or come by on Saturday to beat the lineups and be one of the first to check out everything the festival has to offer including community businesses and local artisans at the PrideMART, as well as children and family activities.